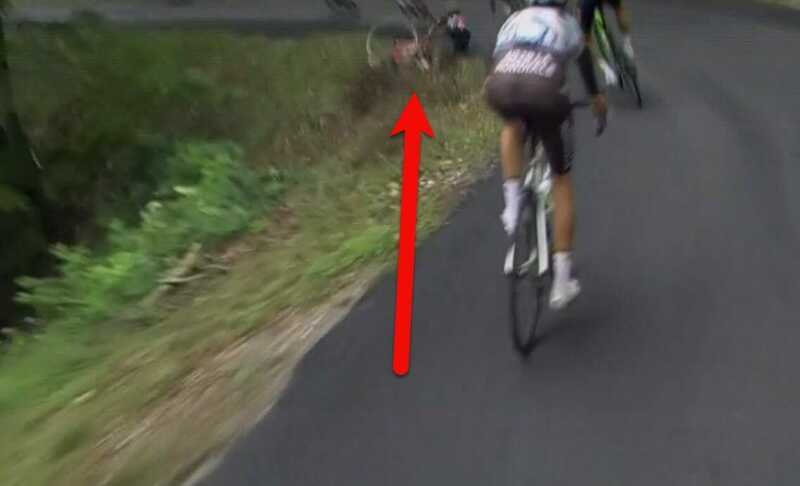 The man Chris Froome called the favourite to win the Tour de France has been knocked out of the race in an ugly crash during a descent in stage nine. 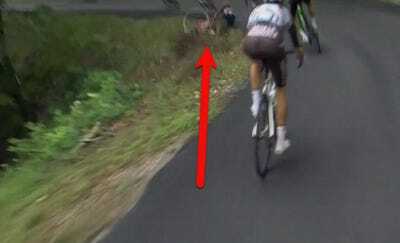 The wet conditions led to a number of crashes, but the most notable occurred during a descent on a narrow and winding road o ;which Australian Richie Porte (in the BMC red jersey) momentarily went off the road and then took out Ireland’s Dan Martin (in the blue Quick-Step Floors jersey) after he tried to recover. The group was reportedly travelling 72.5 kmh (45 mph) at the time of the crash. Porte, who entered the stage fifth in the standings, was one of the prerace favourites along with Great Britain’s Chris Froome and Romain Bardet of France. 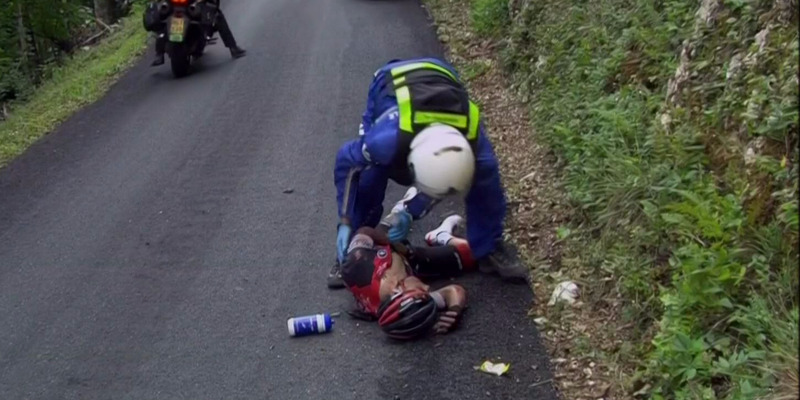 The BMC rider was clearly in a lot of pain and unable to continue. Medical staff placed Porte in a neck brace before taking him to a local hospital. Martin was able to continue, but lost more than a minute on Froome, the race leader, falling from fourth to sixth place after nine stages.